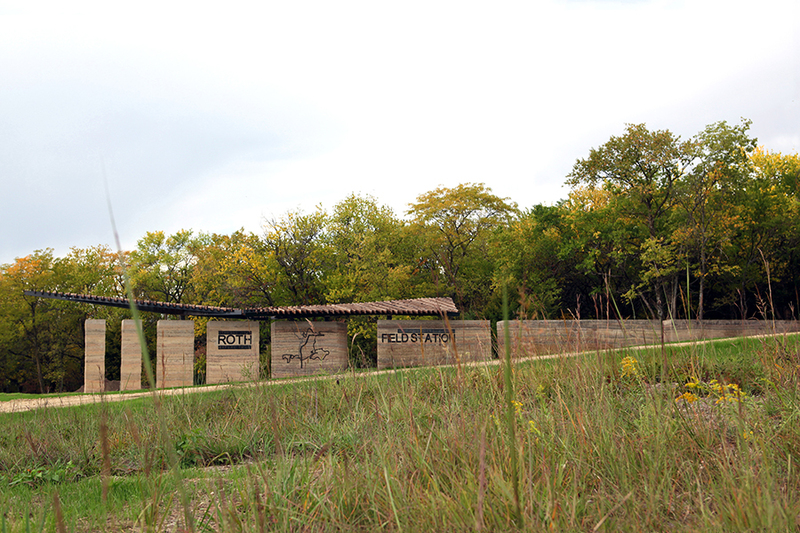 The University of Kansas Field Station invited the Dirt Works Studio to design and build a new trailhead on the McColl Nature Reserve in honor of Stan and Janet Roth, a beloved Lawrence couple. 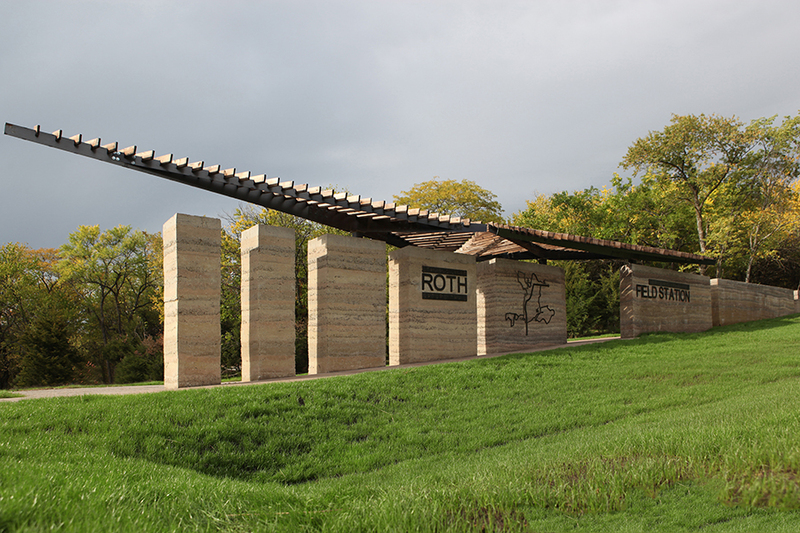 The Roth Trailhead serves as a gateway into the Field Station, an ode to the landscape in which it rests, a gathering place for nature lovers, and an artifact that tells the land’s tale and reveals its great history recorded beneath. 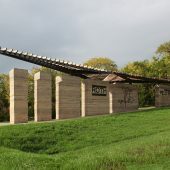 The design of the Roth Trailhead concentrates on a few basic tectonic elements, including a punctuated rammed earth wall proportioned on the Fibonacci sequence; a path guiding visitors along the wall, a sun-shading canopy hovering atop the wall, and an outdoor classroom that opens onto the prairie beyond. 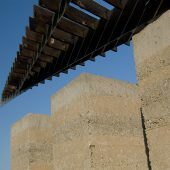 Students: Pamela Gieseke, Mark Linenberger, Hannah Dale, Xiaorui Chen, Ben Peek, Christina Henning, Katie Caufield, Matt Livingston, Pat Bayer, and David Versteeg. 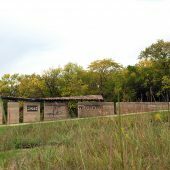 Research Question: The Dirt Works Studio was inaugurated with the mission to research the viability of earthen architecture in the American Midwest. 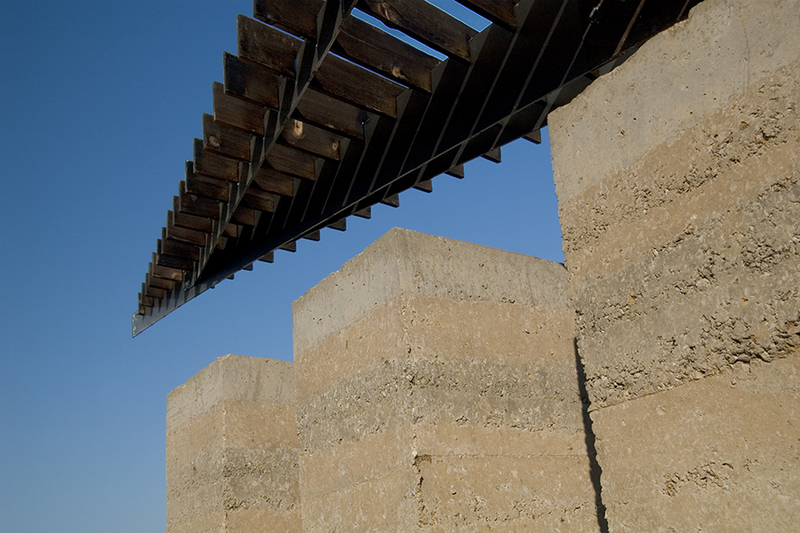 The studio’s research focused on characterizing the local soil and testing its physical properties.